Business & Professional Women, New Delhi Chapter of The International Federation of Business and Professional Women (BPW International) was inaugurated on 25th April at Hotel Le Meridien, New Delhi. 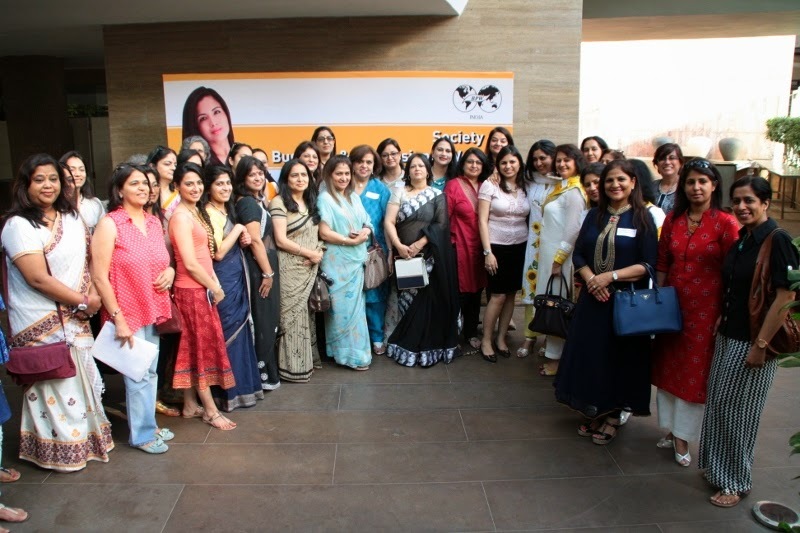 Business & Professional Women, the New Delhi Chapter of The International Federation of Business and Professional Women (BPW International) was inaugurated on 25th April at Hotel Le Meridien, New Delhi. BPW International, founded by Dr. Lena Maesin Philips in 1930, is an influential international network of business and professional women from over 95 countries in 5 continents with Consultative Status with United nations Economic and Social Council (ECOSOC) and participatory status with the Council of Europe. BPW International develops the professional, leadership and business potential of women on all levels through our mentoring, networking, skill building and economic empowerment programs and projects around the world. Speaking at the inauguration, Surinder Kumar, President, BPW, New Delhi – India, said, “We all work towards common goals; we grow professionally and personally while connecting with thousands of friends from across the globe. As a member, one will essentially find unlimited access to like minded career women and international networks”. Our vision is to achieve a just and equal status for women where decisions are taken in true partnership with men, based on mutual respect, for a more balanced and peaceful society, added Sucheta Nagpal, General Secretary. In India, we would focus on Women safety and empowerment said Poonam Kumar, President – Young BPW India apart from advocating and lobbying for working women ensuring equality and equal opportunity and also providing emotional and moral support to women in distress. Our Mentors include Padma Bhushan Dr Shayama Chona, PadmaShree Shovana Narayan and Fashion Designer Pawan Sachdeva. The root of BPW International’s advocacy is embedded in the work with the United Nations. BPW International lobbied for the formation of the Commission on the Status of Women (CSW), submitted many written and oral statements to the UN on many women’s issues. BPW International was awarded a Peace Messenger Certificate from UN Secretary-General Javier Perez de Cuellar in 1987. Esther Hymer, BPW International representative at the UN, was named as one of three women playing a significant role in the work of the UN Commission by Secretary-General Kofi Annan in 1997. Today, BPW International continues its representation at UN Headquarters in New York, Vienna, Geneva; UN regional offices (UNECA, UNECE, UNESCAP, UNESCWA, UNECLAC); UNESCO, UNICEF, ILO, WHO, UNCTAD, UNIDO, FAO, UN DPI; Council of Europe; European Women’s Lobby and continues to work closely with UN Women.